War Horse | Three Cheers for Darkened Years! This is Steven Spielberg is full-tilt sentiment mode. Spielberg has, over the last decade, made a few rather adult and matured films, wherein he’s allowed himself to stretch aesthetically, and tell some more interesting stories. 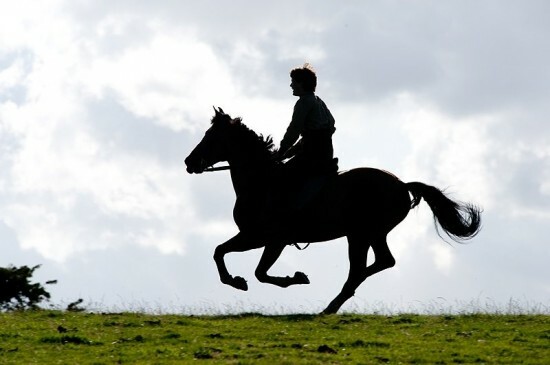 “War Horse,” however, is not a stretch. Indeed, it seems so typically Spielberg-ian, one could mistake it for a tribute project by a lesser director, were it not so soulfully made, and so slickly photographed. The story is so simple and episodic, I was actually reminded less of an epic war picture like “Saving Private Ryan,” and more of the boldly bright and straightforward family films of Disney’s early 1960s period. “The Three Lives of Thomasina” kept coming to my mind. Roger Ebert compared the film to the works of John Ford. 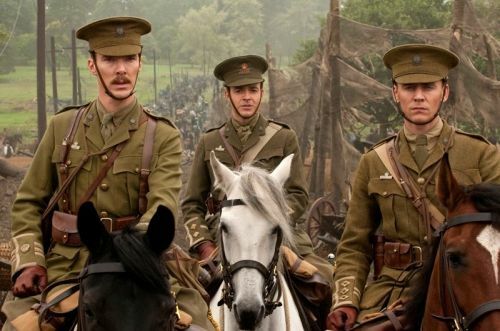 However you look at it, “War Horse” is delightfully old-fashioned. Not a single sunset is under-saturated. The young protagonist is not merely a hardworking farmboy, but an archetypal innocent. Indeed, at times he seems so innocent, you may suspect that he’s mildly developmentally disabled. The farms and settings and locations teeter on just this side of realism. And even though the film is rated PG-13, and features a number of rather violent scenes, the overall tone is far more kid-friendly than you’d expect. “War Horse” is a bold, melodramatic children’s opera of the highest order. I found it to be slight and delightful. If “Private Ryan” and “Schindler’s List” were Spielberg’s hard-edged and visceral looks at the violent nature of WWII, “War Horse” is his relatively neutered look at WWI. Perhaps he felt, as so many nostalgic war buffs do, that WWI was a more civilized war. We do see soldiers being hurt by mustard gas, and there is a dramatic scene wherein English riders are picked off of their mounts by German machine guns (we see their rider-less horses running madly past the German front line), but the violence in this film is of the gentlest kind. People die only off-camera, and no horrible wounds are focused upon. There is a scene wherein the film’s title horse gets caught in a tangle of barbed wire, which is bloody and hurtful, but it’s one of the only painful scenes in the film. The subsequent episode where a British soldier and a German counterpart help to free the horse during a restful moment of the battle is one of the film’s best. 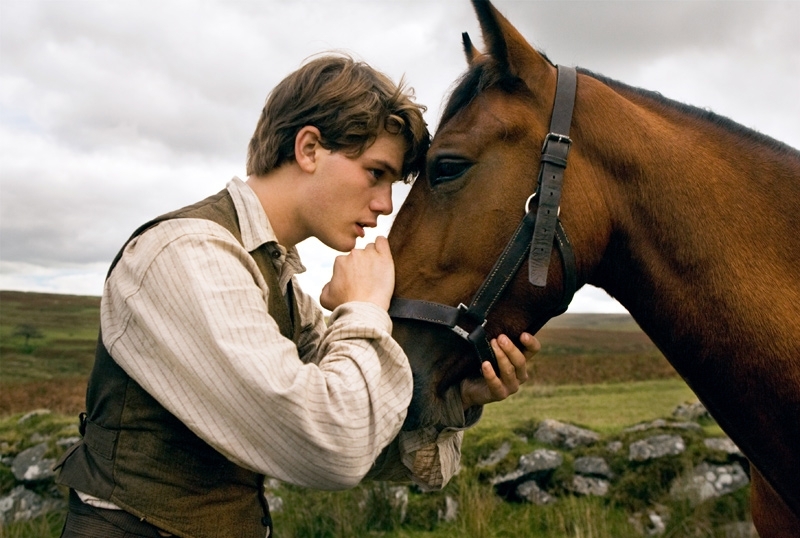 The entire film (written by Lee Hall and Richard Curtis after the novel by Michael Morpurgo) is told from the perspective of the horse, named Joey by a local 17-year-old country bumpkin Albert (proto-stud Jeremy Irvine, his mouth hanging perpetually open). Joey is scoffed at by all the locals, but Albert’s dad and mum (Peter Mullan and Emily Watson) put enough faith in the horse so that it can eventually plow fields, a task to which it has been previously denied. Joey is eventually sold to a solider in the war effort, and the story saunters onto a group of soldiers (amongst them Tom Hiddleston and Benedict Cumberbatch). Joey eventually passes through the hands of a German salve-driver with a heart of gold, a sweet innocent young French girl, out into a dangerous battlefield, into the trenches of both warring countries, and eventually back into the waiting arms of Albert. Everyone who comes into contact with this horse seems to love it to a near-unhealthy degree. The horse, meanwhile, manages to have a little bit of personality. Like the animals in Call of the Wild, the horse has no agenda other than to be a horse, but still seems to possess an uncanny amount of loyalty, and even, get this, manages to make a horse friend. Yes, this is all very corny, but in an appealing sort of way. Horses kind of scare me a little bit, so there were plenty of creepy scenes of people staring this enormous animal into its carefully-photographed eyeball, making pledges, or weeping promises. But when the camera kept its distance, I actually began to feel for this horse, and appreciated the sweet dog-like friendliness of the creature. By the end, my cynicism was gone, and I was kind of grinning to myself. I wasn’t immensely moved, but I suspect that Spielberg made this film for 13-year-old girls. For them, I encourage them to see this film several times. Hey, girls, it’s got some really pretty horsies in it.